Thread: Know Your Customer, what is it for and what benefits does it give in details? 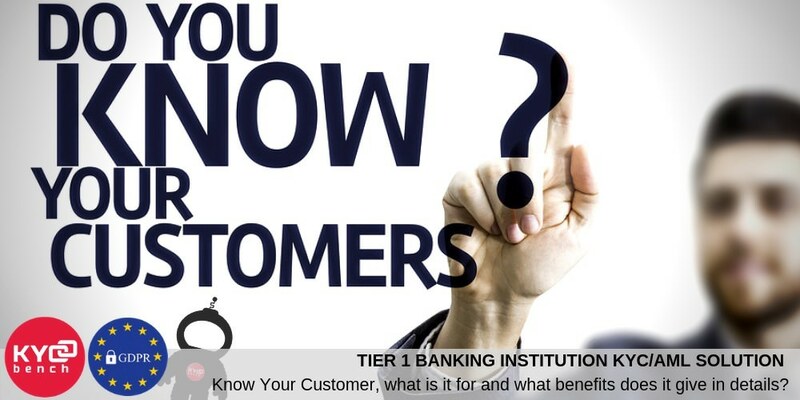 In general, the procedure “Know your customer” is a concept that comes from banking and stock trading, the world of finance. It means that any company working with private individuals’s funds must identify the counterparty and establish his identity before carrying out a financial transaction. Initial Coin Offering, is a relatively new phenomenon in the world of finance, with the help of which developers launch new cryptocurrency projects and raise funds for their creation and development. In 2017, for example, through ICO, various teams collected a total of more than 6 billion USD (according to ICOData). Such high revs could not fail to attract attention of state regulators around the world. As we have already mentioned, financial institutions verify customers whose funds they manipulate: local laws on countering fraud and money laundering may require this; financing of terrorism. ” In addition, the KYC procedure in ICO opens up a number of additional possibilities for the organization conducting it and makes it more reliable in the eyes of state regulators. Identification answers the questions: who brings money to the project; what this money is paid for; where they came from. 1. Increasing the credibility of the banking system. Implementing KYC during the generation and sale of tokens makes it easier for the project team to work with banks and to comply with legal norms against money laundering. Compliance with the laws in the ICO procedure gives the project a sign of “legality” and attracts investors who are willing to invest money when the KYC requirements are met. 2. Distribution of the investment platform. Cases should be conducted transparently, especially in those regions where there is a potential opportunity to fall under local laws. Since the power structures of large regional markets (Asia, USA, Europe) converge in the classification of ICO as securities transactions, the ICO itself (and their authors) should be proactive and bring the projects into line with the laws of the respective countries and markets. 3. Legalization in the long term. Any successful business aiming at a long existence must take into account existing laws and comply with them. The legality of the project is based on how well-designed and protected cryptoactive assets and such management contracts are. 4. Improving public acceptance of a project. Despite the general hype around cryptocurrency and ICO, the lack of norms and methods of regulation, general information about these phenomena makes them potentially vulnerable to fraudsters. The more the team informs the public about its overall plans, financial structure, the use of the funds raised, the associated risks and other aspects of the project, the better people can appreciate the significance of the offer for themselves. 5. Coverage expand. Voluntary implementation of KYC procedures helps ICO projects reach a wider audience and increase the number of jurisdictions where a particular platform has the right to operate. This allows you to attract new investors, especially from Canada and the United States with their strict laws. 6. Tracking of the funds. If ICO is open to US investors, you need to consider how to prevent the sale of the tokens they bought over the next 12 months. And if American investors are not allowed to the project, how to prevent them from buying in the future? Synthesis of KYC procedures and anti-money laundering legislation will allow you to better track money flow and connect with investors. 7. Avoidance of sanctions and fines. In many jurisdictions, authorities impose severe fines on ICO projects, if they are regarded as selling securities, in accordance with local finance laws. KYC allows you to fulfil legal requirements and avoid penalties and sanctions. KYCBench platform, as an outstanding KYC service procider, directly for the ICO means and solves following questions: verification and confirmation of the identity of the investor; analysis of his personal data, financial and business activities; risk assessment of fraud, theft or money laundering. There is a new practice, which comes in palace - a Know Your Customer procedure for the ICO team. Many authoritative experts of the cryptocurrency world consider this critically important for assessing the reliability and success of a project; therefore, developers themselves are often identified.